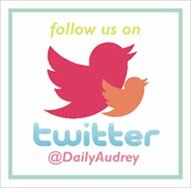 The Daily Audrey: Sunshine on a Rainy Day! When we were brainstorming for a theme for Natalie's first birthday, we tried coming up with something that best reflected her personality. 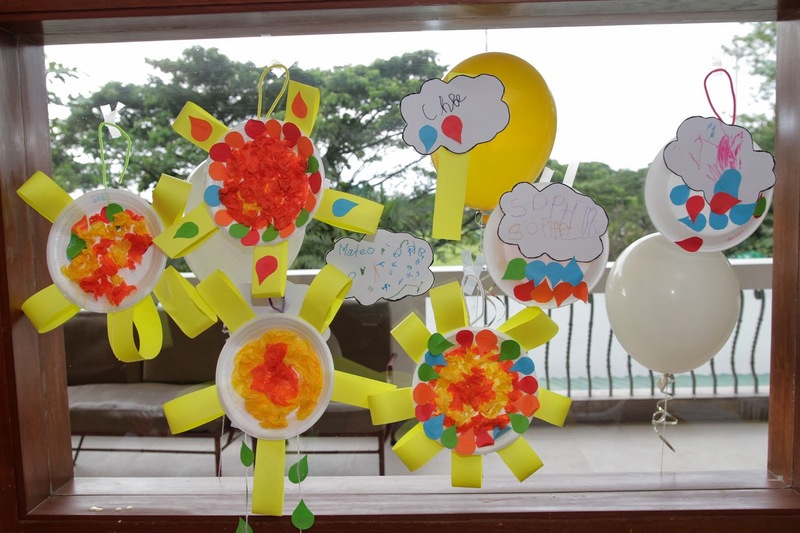 We would fondly call her our little sunshine because of her very smiley and friendly personality and disposition. 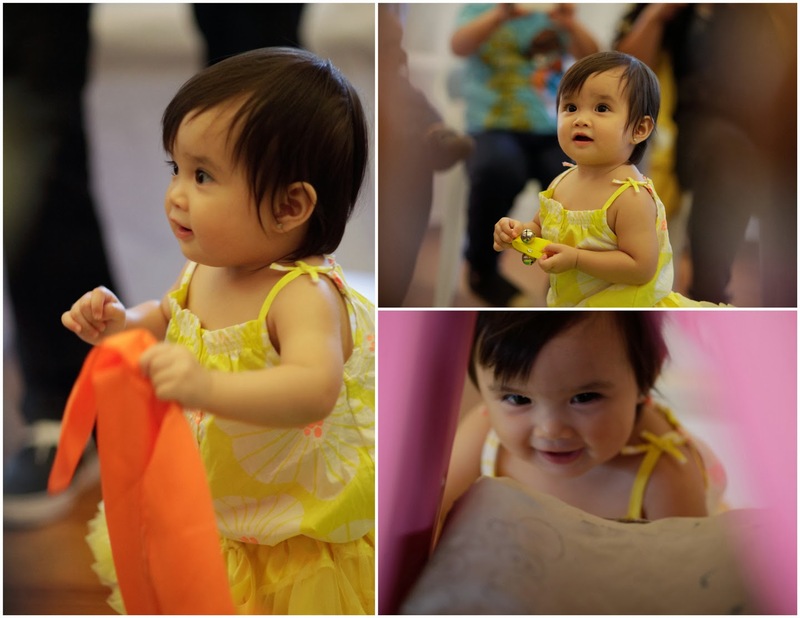 She always brought a smile to everyone's face because of her playful nature. 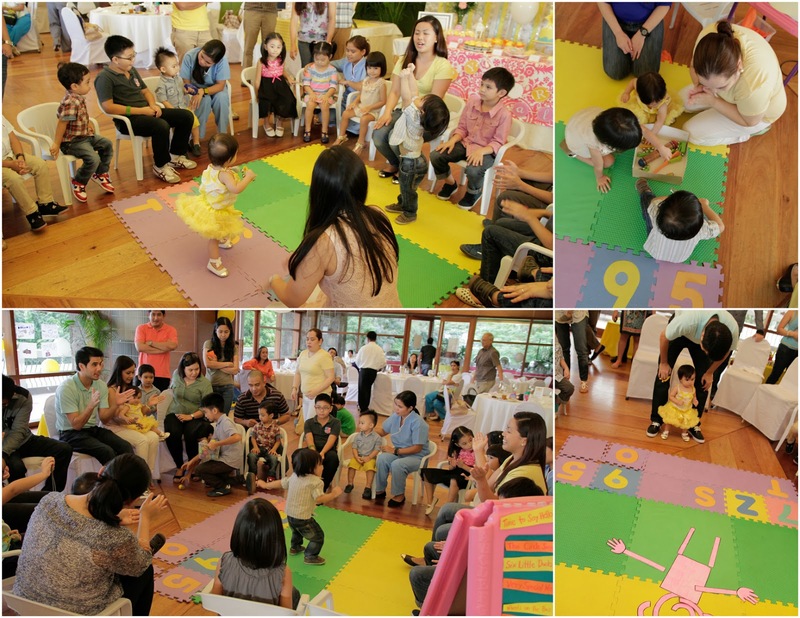 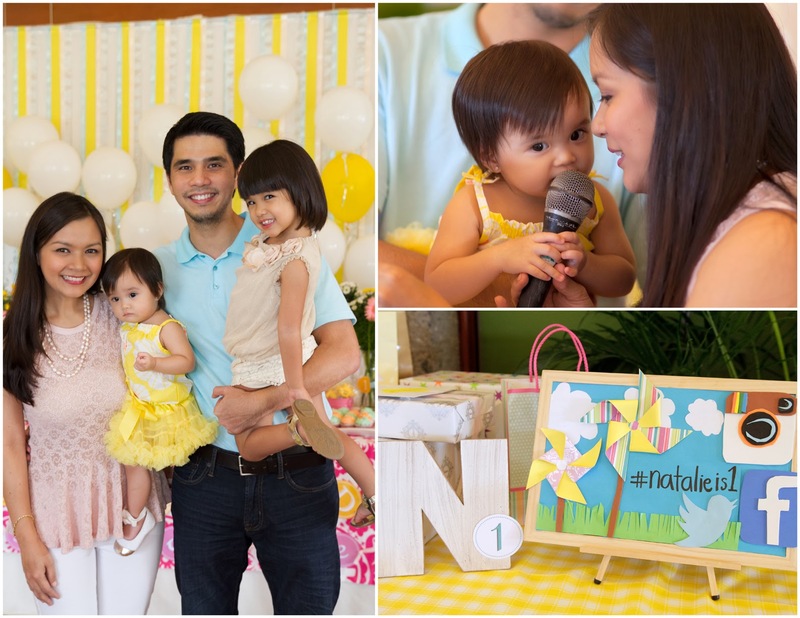 We celebrated Natalie's 1st Birthday and Dedication to the Lord together. 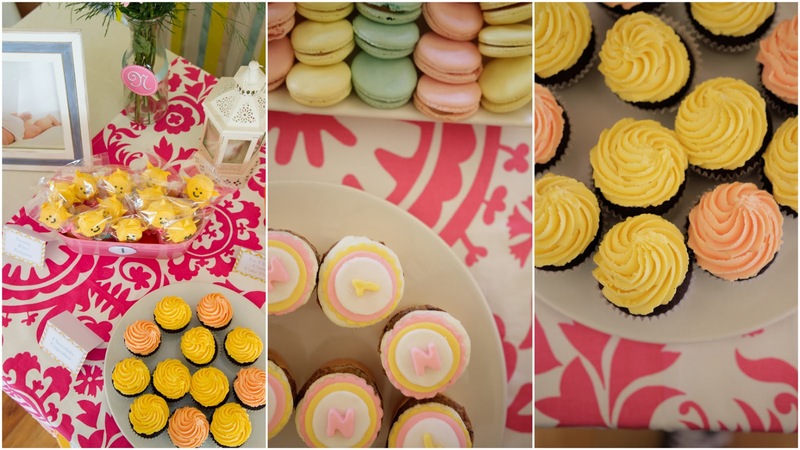 I had fun coming up with concepts for the dessert table and styling it for the party. 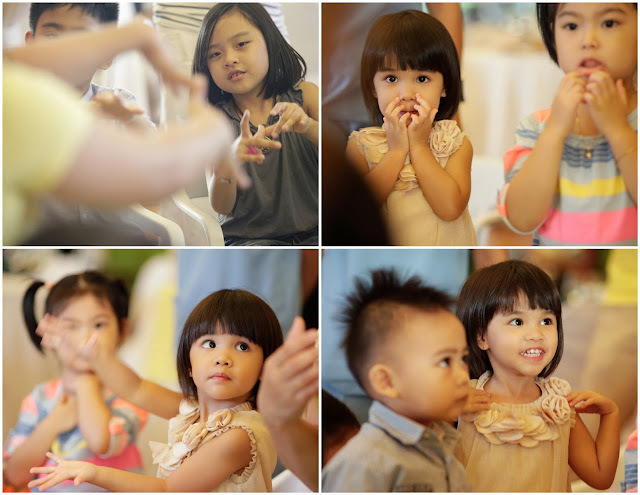 Teacher Marla led the kids with familiar songs from Natalie's Playlist. 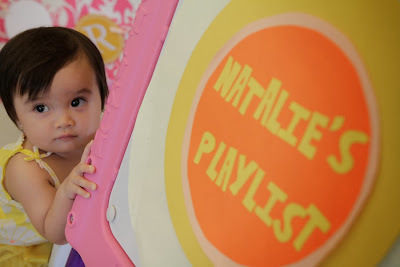 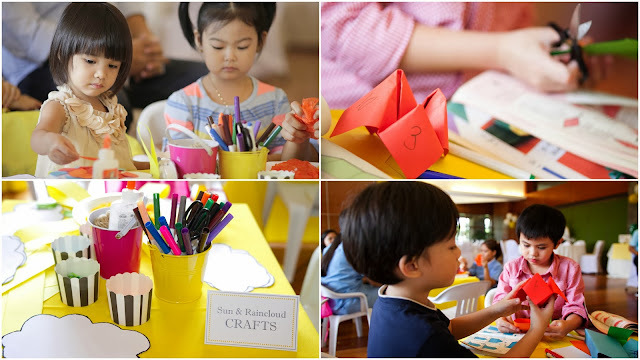 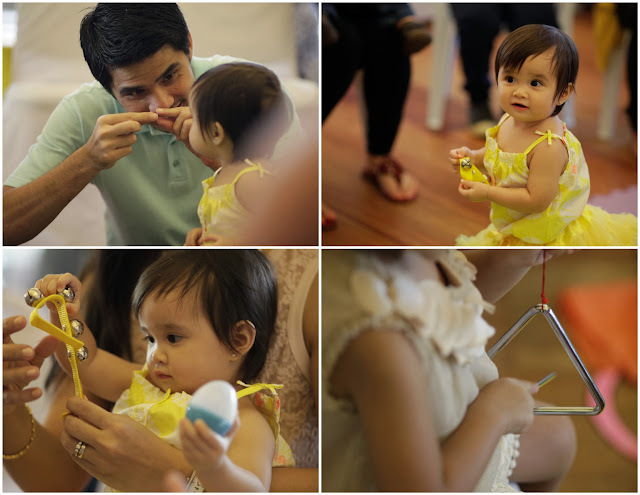 This was an activity that we knew Natalie would enjoy since she loved music and playing with musical instruments. 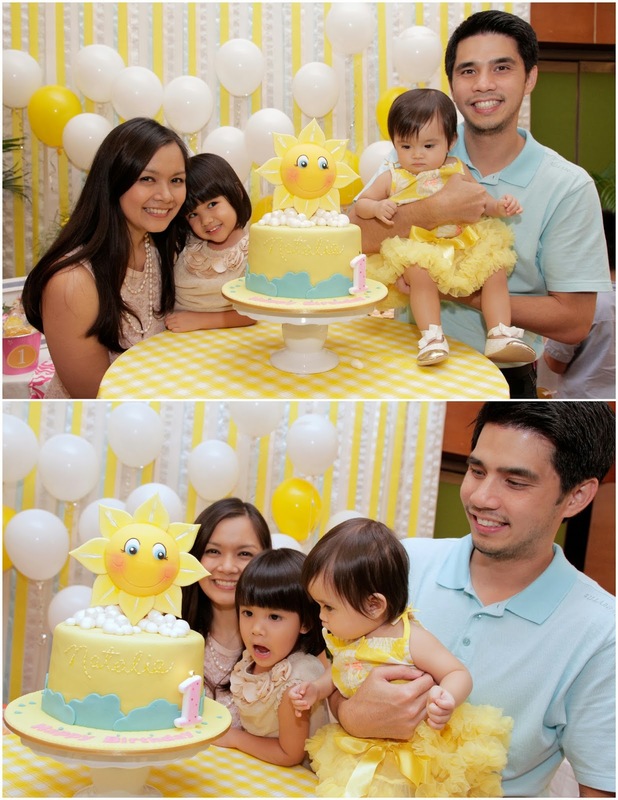 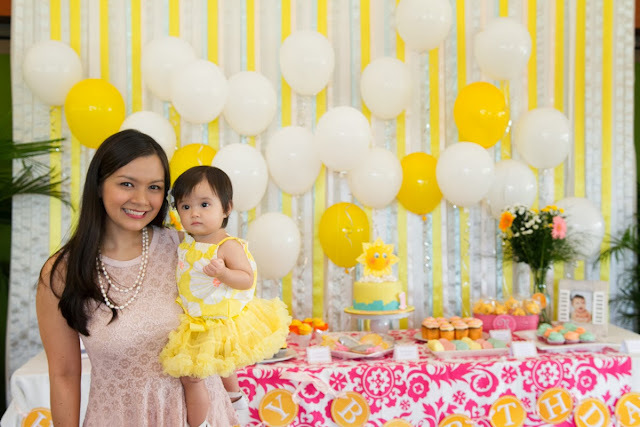 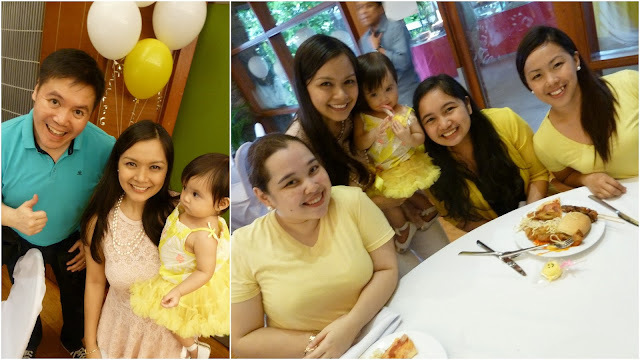 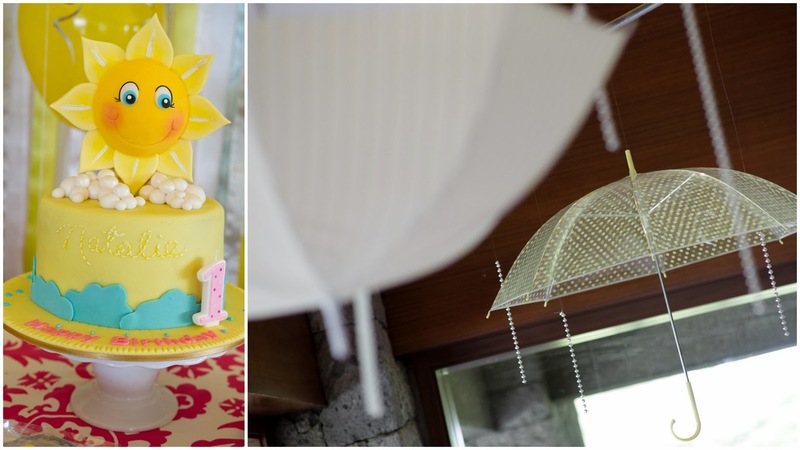 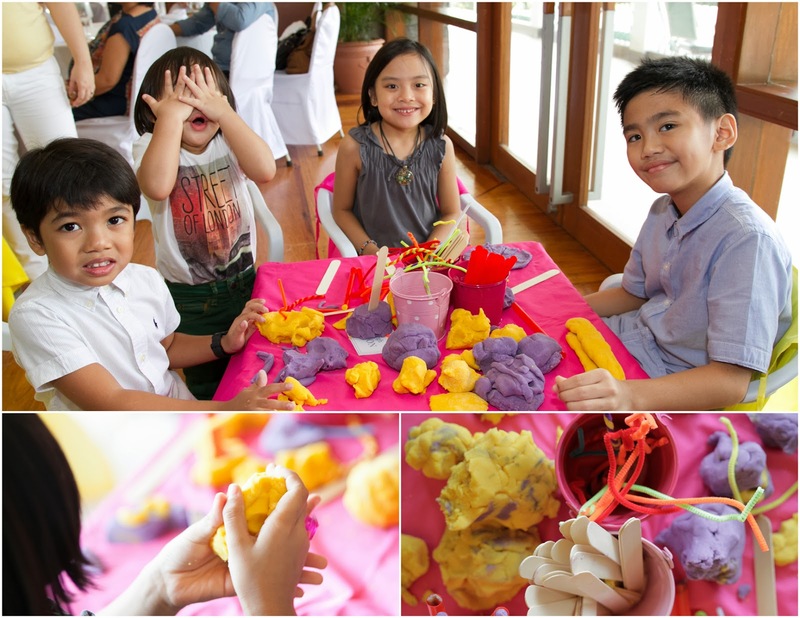 Thanks Mommy Bing for helping me with my balloon setup and backdrop for the dessert table!